We currently have many dates available from mid July through to the end of the year for Eden Hollow in Denmark, WA. This property can accommodate four guests for stays of up to seven nights and is currently only available to Western Australian residents. To enquire about a stay email [email protected] or phone our Bookings Team during Victorian business hours on (03) 5444 1184. 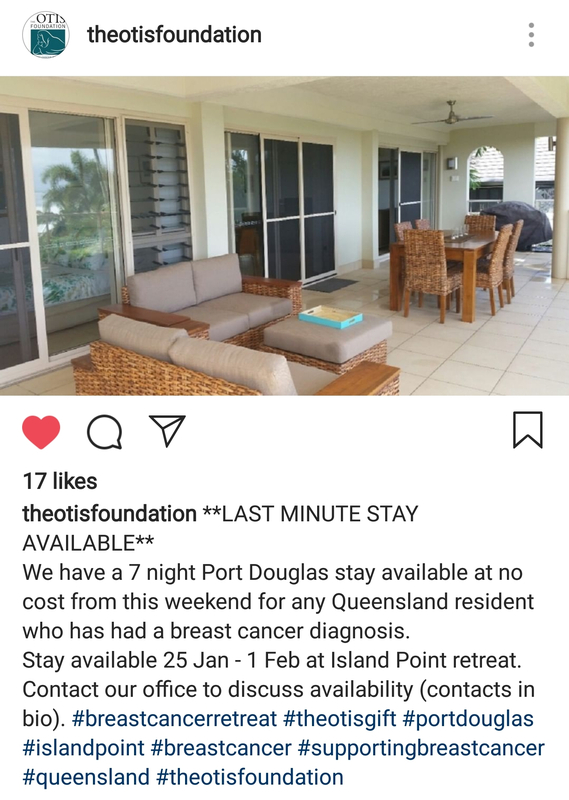 Stays are available at no cost to anyone who has been diagnosed with breast cancer. https://engonetotis.blob.core.windows.net/A quaint cottage set within 26 acres of forest, pasture and orchards. I hope someone in Qld will be able to take up this wonderful opportunity! please somebody try and take up this wonderful offer!!! No I don’t but I’ll work really hard to find someone who can take advantage of this fantastic opportunity. Omg I live in Port Douglas this property is beautiful!! Please tell me we know someone who could stay here!! Apart from one that is!! Haha!! This property sleep up to six people in a spacious two bedroom apartment at the Vacation Village resort complex. Kez's Hideaway sleeps up to eight guests and is set on rural farmland, close to the small township of Redesdale in Central Victoria.